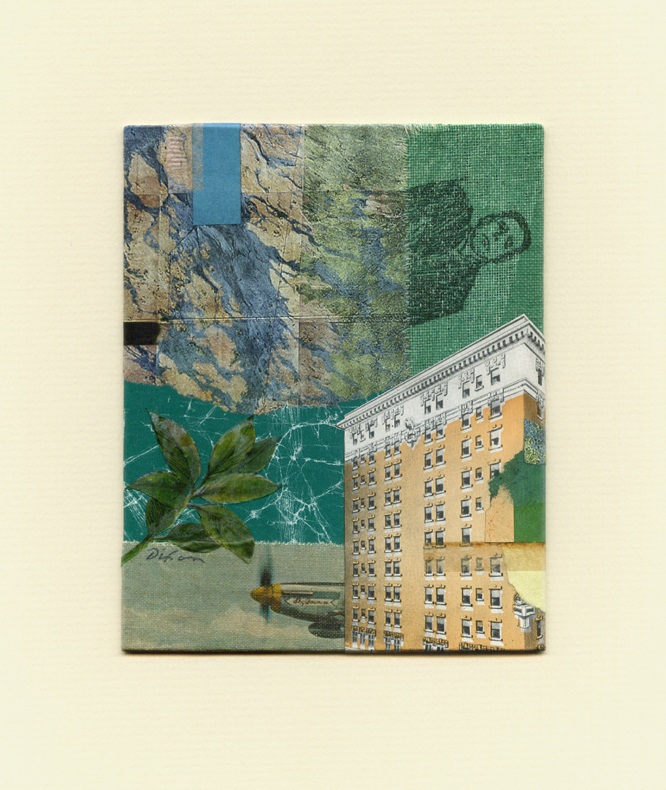 Adding a couple more items to my Roster of Shows: A collage miniature from 2014, Melting into Air, was displayed as part of “Little Pieces,” the fourth exhibition of the Nashville Collage Collective. It was an honor to be invited to participate with the dynamic group. 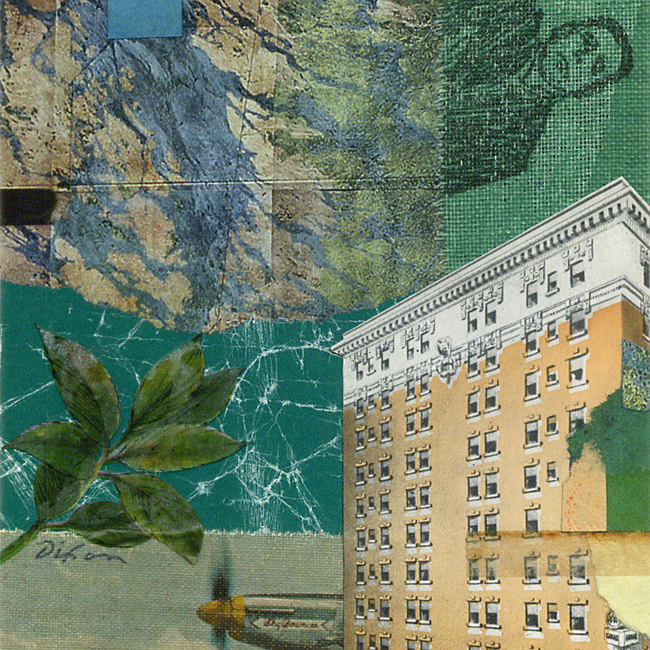 Two of my plein-air collage pieces currently hang in the large grouping of works by members of PAACK. 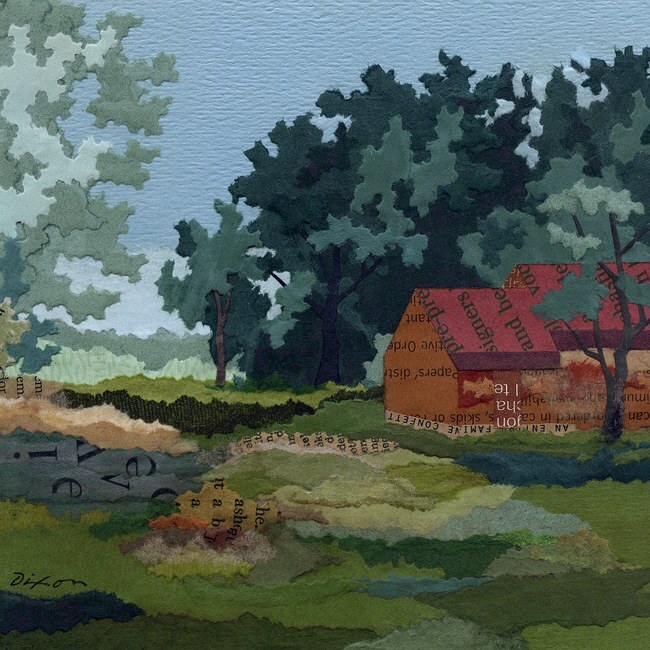 The Plein Air Artists of Central Kentucky meet regularly for organized “paint-outs” during the summer months, visiting local farms, parks, and historic landmarks. Locally, the exhibit is an annual favorite. The 2017 exhibit holds the distinction of being the show that yielded the most art sales last year in my hometown of Danville. If you haven’t checked out the summary from last year, read about how I solved the challenges of “painting” with small collage ingredients in the open air. I’ve been asked to make remarks during the upcoming “gallery talk” at the Community Arts Center, scheduled for the last Thursday of August. Perhaps I’ll see you there! 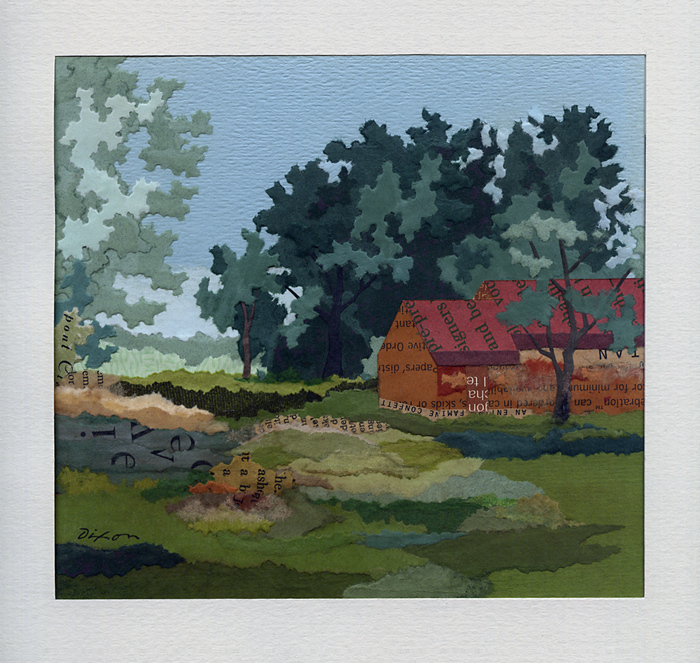 Two square details of collage miniatures exhibited this summer. This entry was posted on Tuesday, August 7th, 2018 at 11:33 am	and is filed under En Plein Air, Exhibitions, J A Dixon. You can follow any responses to this entry through the RSS 2.0 feed. You can leave a response, or trackback from your own site.